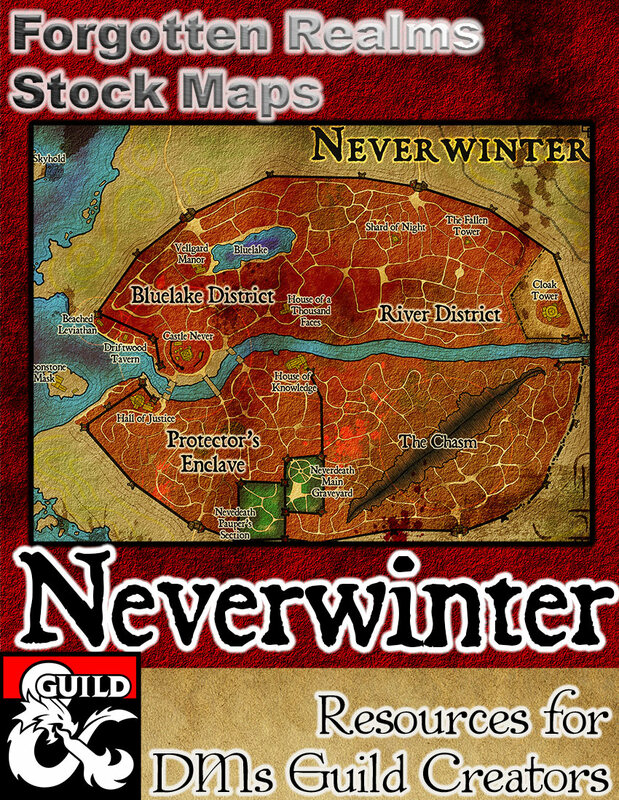 This is a hand drawn map of the City of Neverwinter. It is illustrated in the style of a local cartographer, excellent to be a prop given to players. It comes in six versions, In different configurations of color and labels. The Illustration has a resolution of 3780×2940, 300 dpi. Perfect to be printed to crisp quality. Edit: I have added alternate versions of this map that include the closed Chasm. Both versions are available.